Gerald Allen Cram was born on December 9, 1947 in Los Angeles California. The right handed pitcher was signed out of Riverside Community College by the Minnesota Twins in 1967. He was then selected by the Kansas City Royals in the 54th round of the 1968 expansion draft. In the 1969 Royals inaugural season, he got a September call up, appearing in five games. 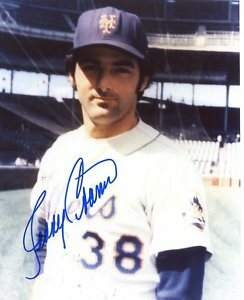 He got two starts & took a September 15th loss to the Seattle Pilots. He toiled in the minors for the next four years getting traded to the New York Mets organization for pitcher Barry Raziano, in February 1973. 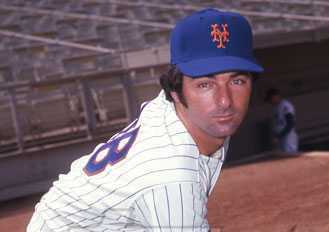 He went 6-0 at AAA Tidewater, in the Mets 1973 Pennant season. 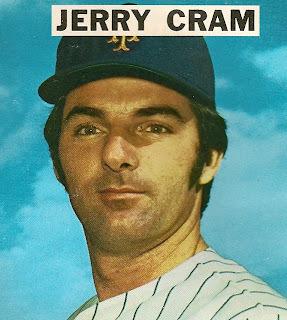 After spending most of 1974 at Tidewater, Cram made his Mets debut at Shea Stadium on August 19th 1974 in relief of Jack Aker in a game against the Cincinnati Reds. On August 28th he gave up a 10th inning HR to Houston Astro, Cliff Johnson, giving him his first Mets loss. Cram appeared in ten games of relief for the 1974 Mets, going 0-1. He allowed 22 hits with 8 strike outs & 4 walks in 22 innings posting a 1.61 ERA. He would only be around for the first two months of the 1975 season, appearing in four games. In his first outing, he gave up a bottom of the 9th inning, walk off HR to the Phillies slugger, Mike Schmidt. Cram was sent back down to Tidewater & that winter would get traded back to the Kansas City Royals for a minor leaguer. He made a four appearances for the 1976 AL West Champion Royals, before ending his pitching career. In a four year career he went 0-3 with a 2.98 ERA, 22 strike outs & 13 walks in 48 innings pitched in 23 games. Retirement: After his playing days, he became a pitching coach in the Kansas City Royals, Colorado Rockies & San Francisco Giants organizations for over thirty years.